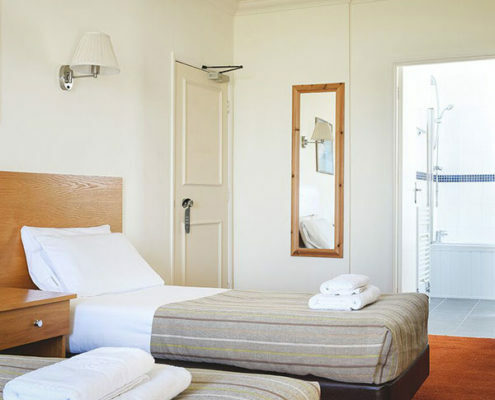 We offer various room types to fit the needs of our guests. 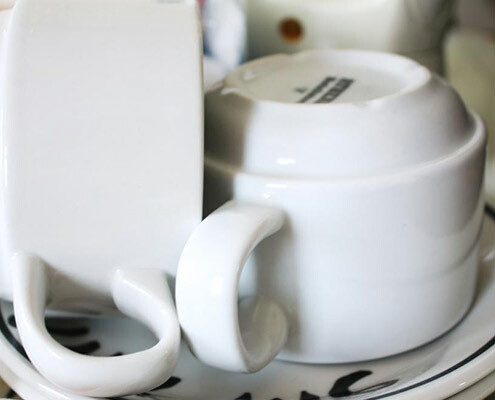 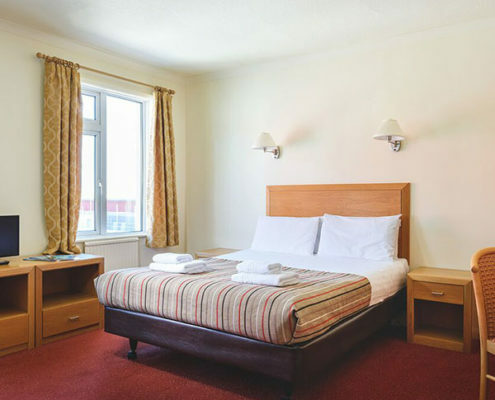 Our rooms include complementary Wi-Fi, desk space, coffee and tea making facilities as well as free toiletries to make your stay even more pleasant. 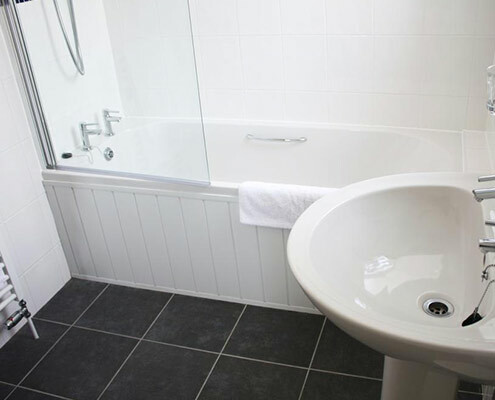 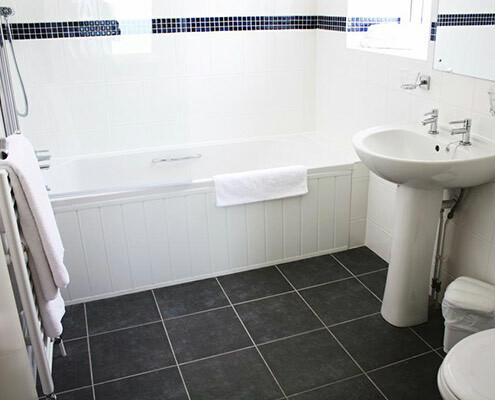 A comfortable single en-suite room with either a walk in shower or bath/ shower, colour TV, coffee & tea making facilities. 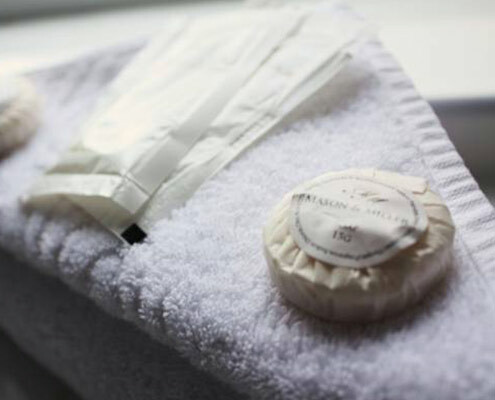 Perfect for an overnight stay. 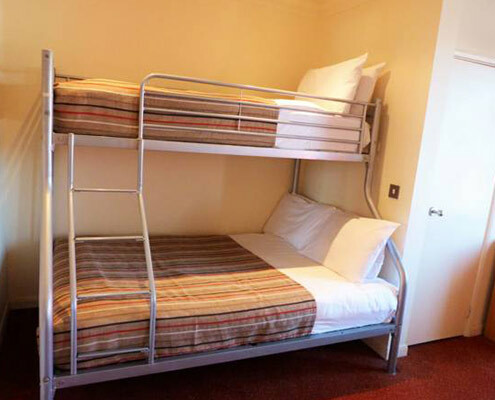 The room size is 12 m.2. 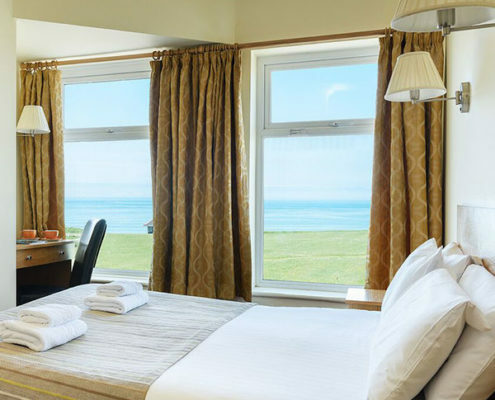 Our Double Sea View rooms includes a view of the ocean, an en suite bathroom with either a bath or walk-in shower, and a TV are featured in this room. 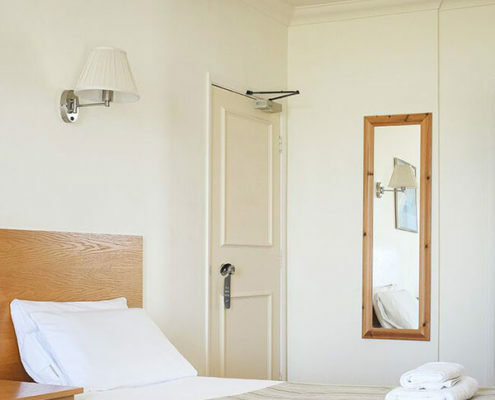 This room is 20 m2. 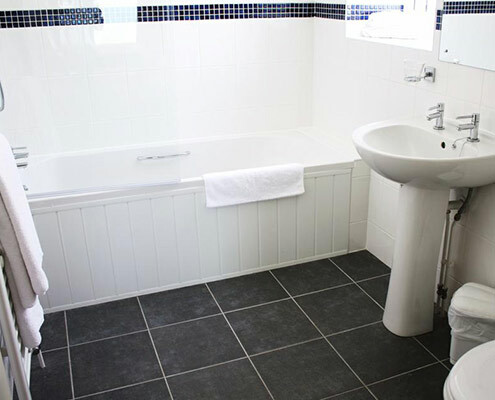 This twin room features either a bath or walk-in shower room, a TV, a hairdryer, a seating area and an electric kettle. 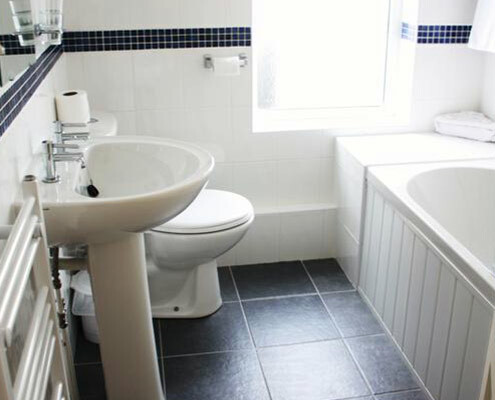 It also offer stunning sea views. 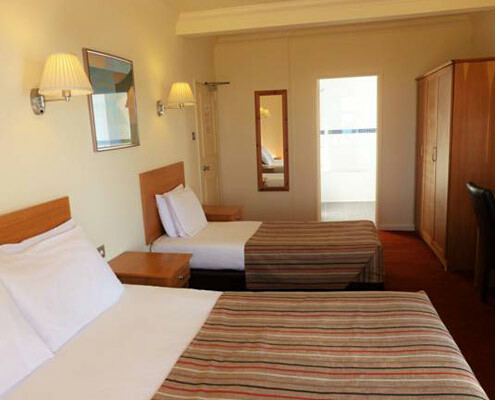 The twin room size is 20 m2. 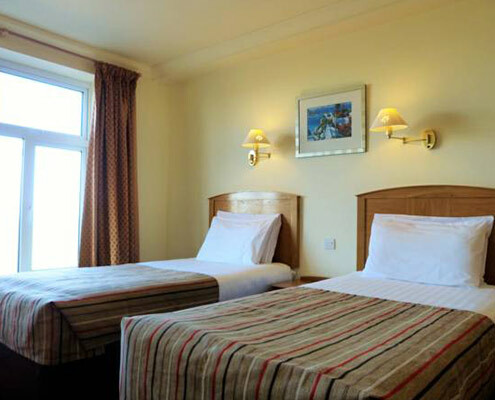 Our twin room is suitable for a family of three as it comes with a double bed and twin bed for a child. It also includes a TV and an en suite bathroom. 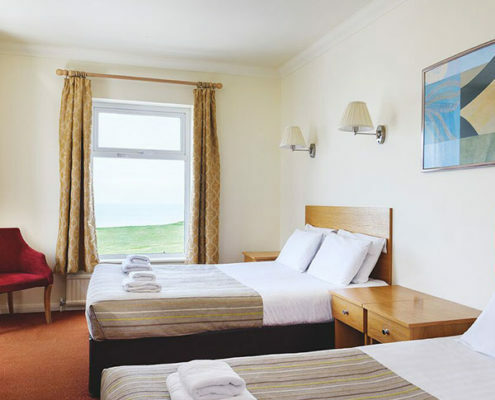 Some of the twin rooms come with a sea view. 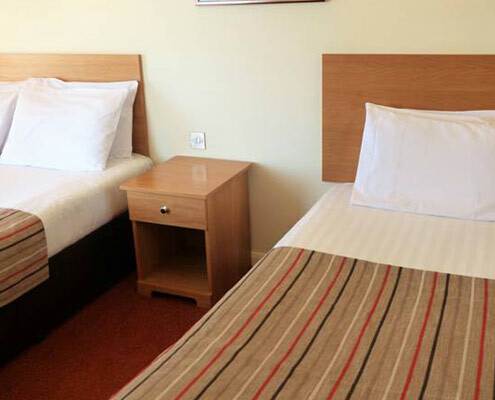 The room size is 24 m2. 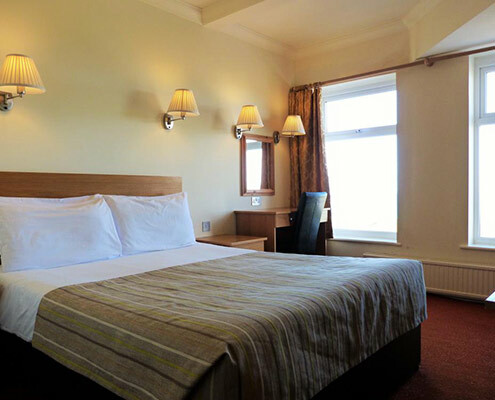 Our family room is perfect for a family of 5. 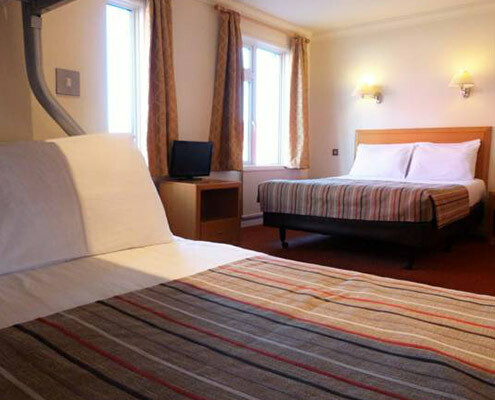 This room includes a TV and an en suite bathroom as well as a double bed, twin bed and bunk bed. It is 27 m2.